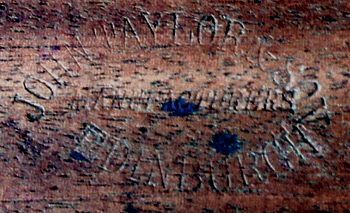 The desk has the best quality figured and burr walnut veneers to all sides of the desk with a beautiful rich colour and sheen. 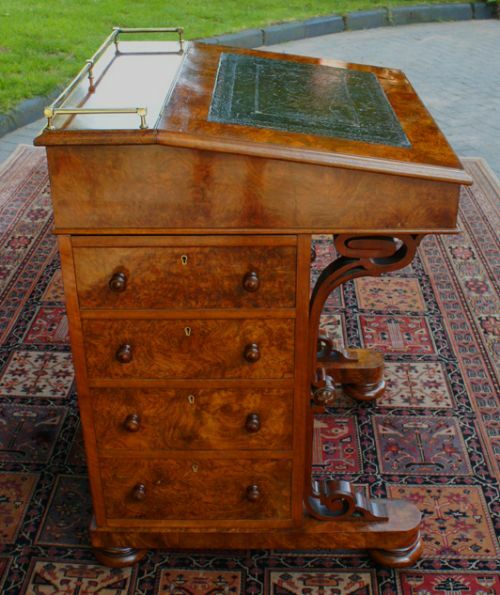 It is a very stunning desk and retains its original dark green writing leather surface and has the original brass gallery surrounding the top shelf. 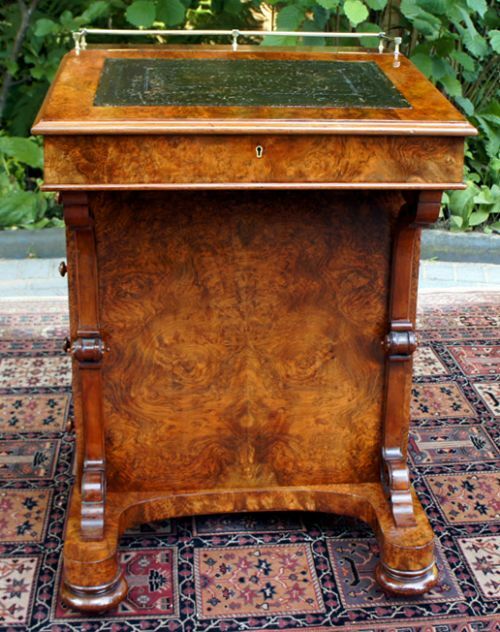 This fine quality, beautifully figured antique walnut davenport desk was made by the Edinburgh firm of John Taylor and Sons. The desk has the best quality figured and burr walnut veneers to all sides of the desk with a beautiful rich colour and sheen. 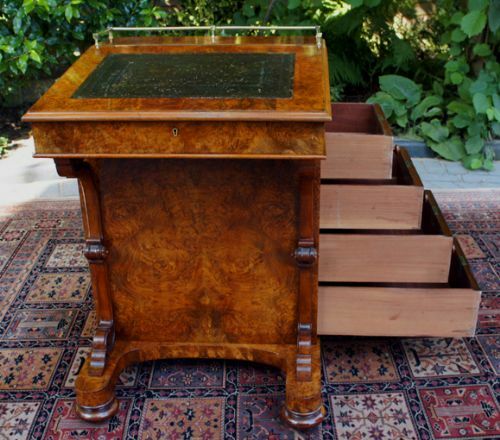 It is a very stunning desk and retains its original dark green writing leather surface and has the original brass gallery surrounding the top shelf. When the writing flap is lifted it reveals a stunningly pristine interior made from blond birds eye maple veneers. The interior is fitted with four small drawers with dainty pull knobs. One of the drawers is false and when the pull knob is removed it releases the pen drawer to the right hand side of the desk. This allows it to be drawn out and then turned to the front as a side pen holder whilst working at the desk. 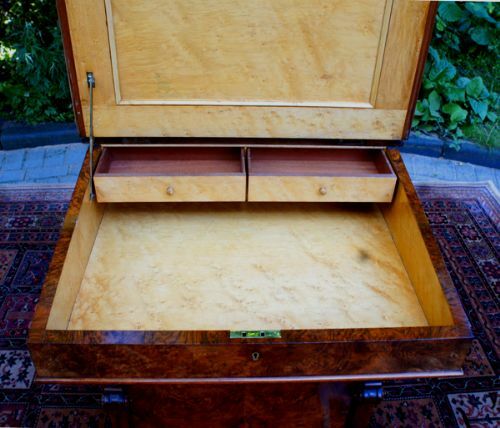 The right hand side of the davenport has four full width fitted drawers. The drawers have hand cut dovetail joints and the original brass locks and turned wooden knobs. The left hand side of the desk has matching faux drawers. 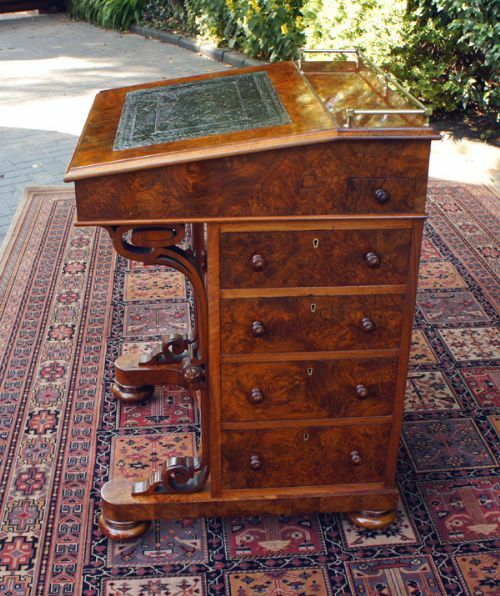 The front of the desk has a beautiful solid walnut, carved and pierced supporting brackets. The desk stands on a shaped plinth base with bun feet and hidden brass castors. 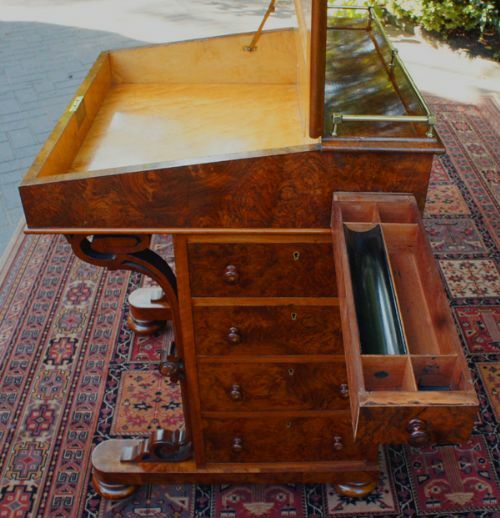 The desk has two keys, one for the writing top and one for the drawers. 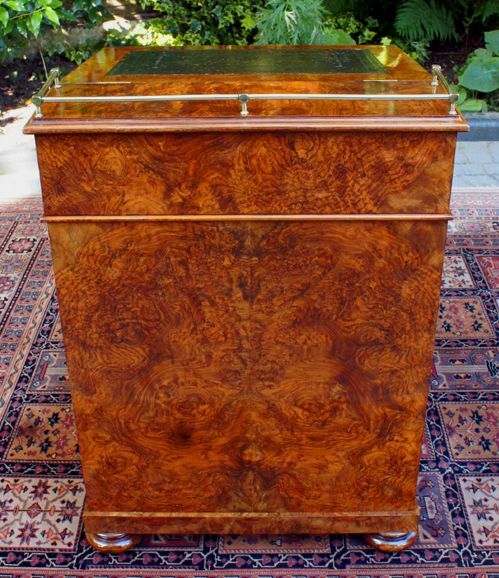 This is a really superb example of an early Victorian davenport in excellent condition. It would be very difficult to fine another davenport of such fine quality as this and we cannot emphasise enough its beauty, quality and rarity. The desk has been cleaned polished and the walnut veneers have been revived to enhance their beauty.